So far, so good! Up to this point in our six month journey through Southeast Asia we had been our own travel agents and, frankly, had done pretty well! No missed flights or trains, no arriving in the wrong city at the wrong time and, in most cases, being able to book accommodation that was well located, comfortable and priced right. 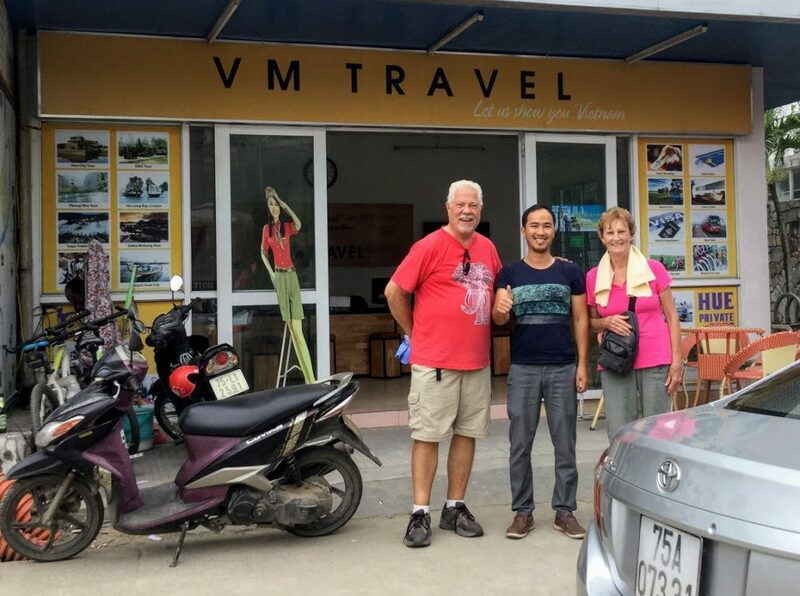 However, when planning our trip from Hoi An to Hue, we decided to use a travel agency that offered a private car and driver service. It had been a long trip and we didn’t relish dragging our bags on and off buses one more time! 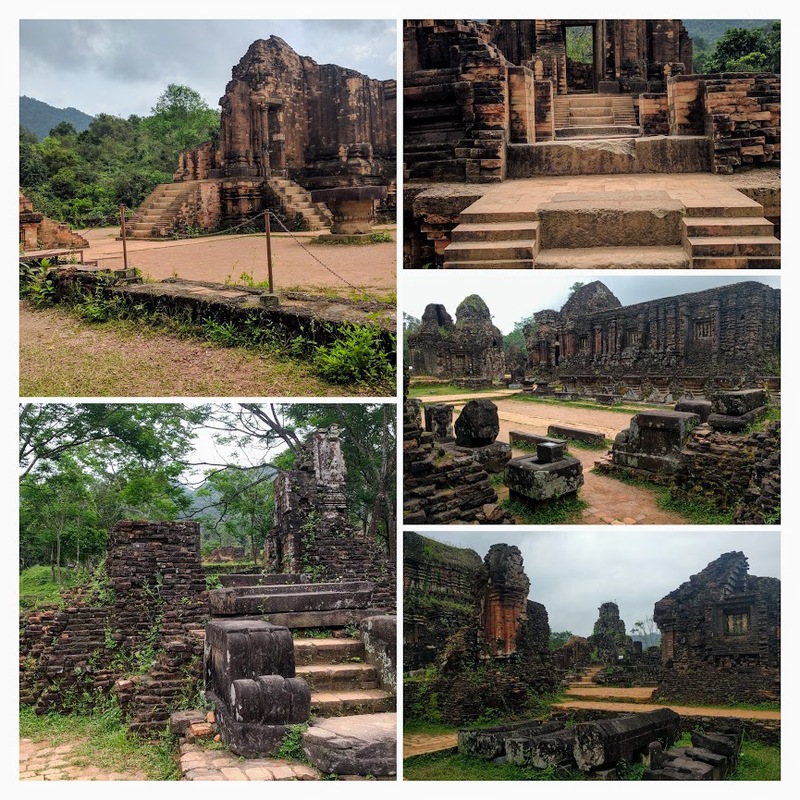 Instead of taking a half day to visit the nearby Cham ruins at My Son while in Hoi An, we decided to incorporate it into our drive north to Hue where we planned to spend a week. It was a bit of a detour but worked out perfectly. At 7:30am we left the Sun Boat Hotel in a very comfortable vehicle with our English speaking driver, Henry, from VM Travel. The 25 mile (40Km) drive took us over an hour through small towns, farmland and through mountain ranges that surround the ruins. We bought our tickets – 150,000 VND each ($6.50), walked across a bridge to the shuttle boarding area where we were driven to the site. Fortunately, due to our early arrival, there were very few other visitors and we were able to slowly walk among the ruins and get some excellent photographs. Having visited Angkor Wat in Cambodia, we were aware of the history between the Khmer and the Cham peoples. In fact, we had seen the destruction and defacing of several Angkor temples that occurred during battles between the two powerful Kingdoms. The site is divided into sections and we decided to spend time in three temple areas only, due to our long drive to Hue. We knew in advance that these Hindu temple ruins were no match for the grandeur of Angkor, nonetheless, we found them historically and visually intriguing. 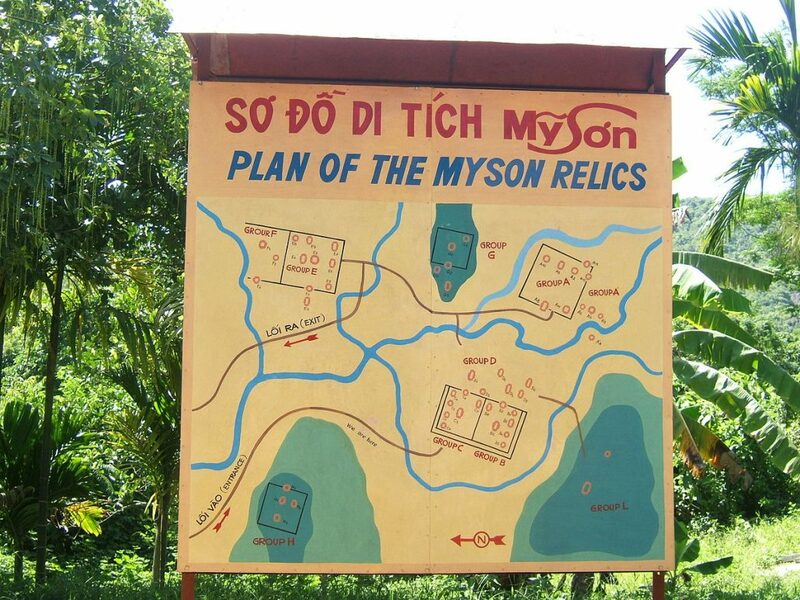 Unfortunately, the site has suffered damage from several wars, and the bombing during the Vietnamese War is evident in craters on the site including a huge B52 bomb crater close to the cluster of temples we visited. The surrounding forest area is still not clear of unexploded ordinance so signs are posted to remain on the paths. As we left around 10:00am, the parking lot was completely full of large motor coaches and literally hundreds of tourists were streaming towards the temple ruins! Tour leaders from every country you could think of were holding up flags, herding their group in the right direction. We looked at each other, rolled our eyes and were thankful for our early start! We continued our journey north on National Highway 1A to the city of Da Nang, Vietnam’s fourth largest city. It is situated close to a stretch of pristine beach known during the Vietnam War as China Beach, where American soldiers went for R&R. This area is rapidly being developed by international resort hotels and Casinos. 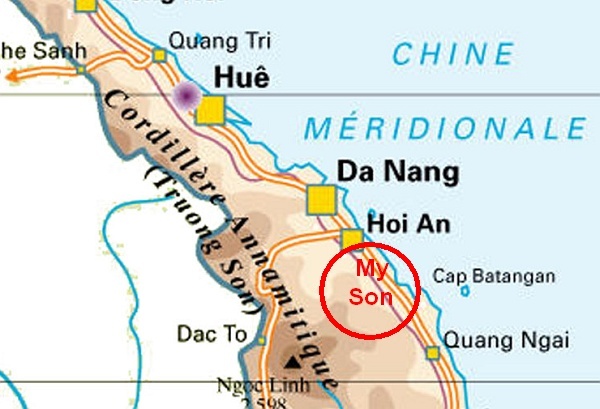 We declined Henry’s suggestion to stop at Marble Mountain, a series of five marble and limestone mountains considered sacred by the Vietnamese. Marble was previously extracted from the area and visitors now tour caves, some with Buddhist Pagodas, as well as climbing up numerous steps to enjoy a view of the surrounding area. Sounded like too much work for us! 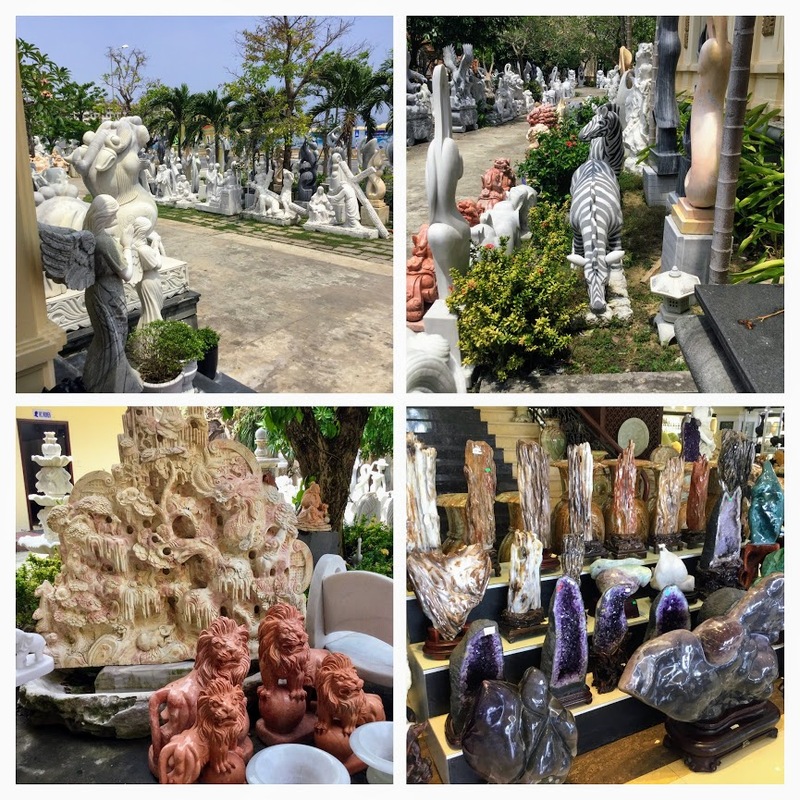 Instead we stopped briefly at “Marble Village” which is nothing more than a large shop selling stunning marble sculptures of every size and color. Of course, they are happy to ship your purchases home for you! Side note: the Marble Mountain caves were a base for the Viet Cong fighters during the Vietnam war, a large one supposedly being used as a hospital. By now it was time for lunch and Henry recommended a seafood restaurant in Da Nang. Vietnam is known for its fresh seafood and we immediately agreed. It turned out to be a restaurant where tanks of different kinds of live fish, eels and shellfish are displayed for your selection. With help from Henry and the restaurant staff, Bill made a selection for our Hot Pot while Priscilla enjoyed a beer at the table, waiting to be served! Bill then went into the kitchen to “supervise” the preparation! The meal was delicious! There is a special way to eat and enjoy a Hot Pot and Henry and the restaurant staff helped us make a dipping sauce, also cook the various vegetables, noodles and seafood in the right order at our table. It was the most expensive meal we had in Vietnam but worth every dong! 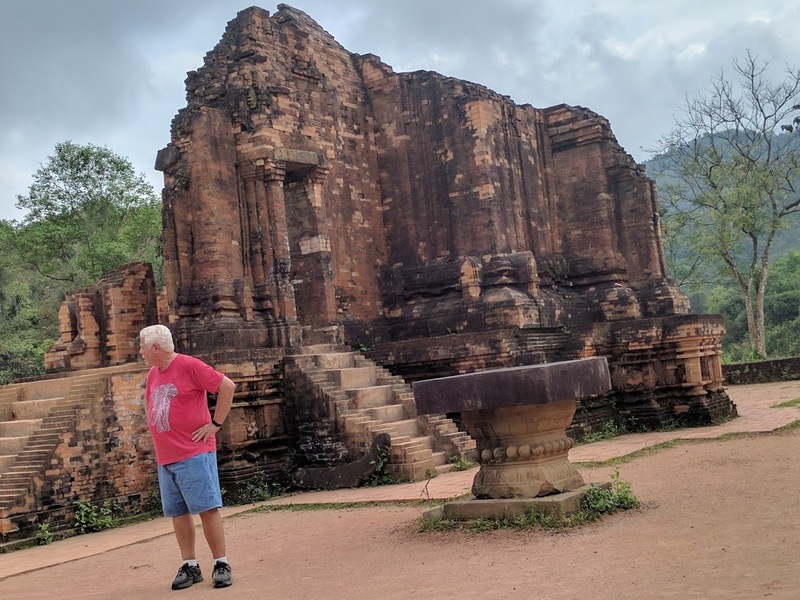 We still had a 63 mile (102Km) drive to reach the city of Hue and although it would have been faster to drive through the Hai Van Tunnel – the longest in Southeast Asia – we decided to drive over the mountains on the Hai Van Pass to take in the scenic views along the way. At this time of year the weather can be cold and wet and unfortunately our panoramic views were somewhat obscured in misty rain. Nevertheless, we could understand why this road is known as one of the most scenic coastal roads in the world. 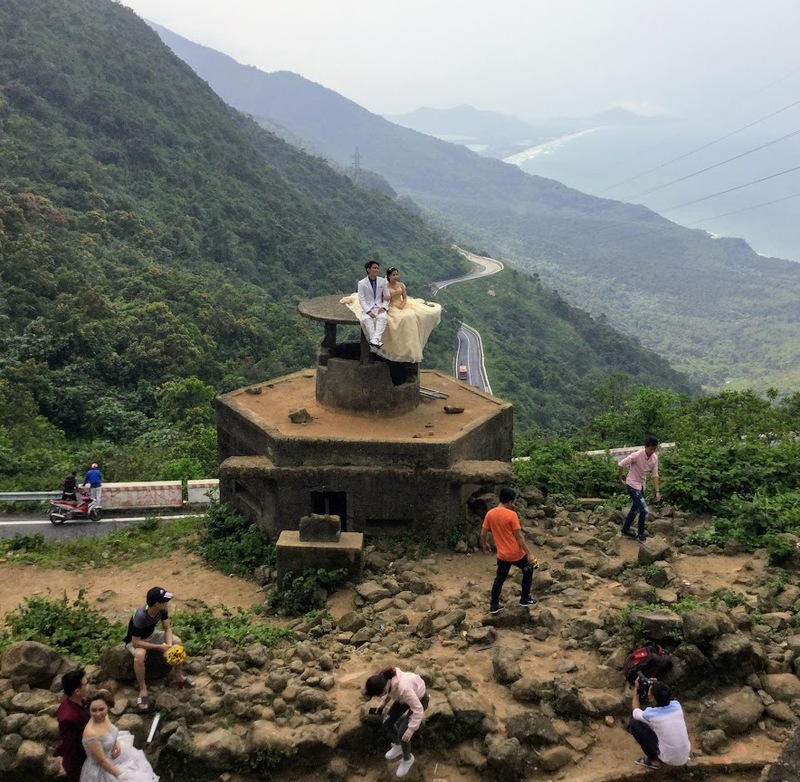 After winding up and around hairpin bends we reached the summit where we climbed up to the bunkers and a French fort, both of which were used during the Vietnam War. Due to the spectacular view from this point, it’s a popular location for couples to take Wedding photos – even on a cold, windy day! It was an exhilarating day for us, the only disappointment being that when we checked into our Airbnb property in Hue we found it was, in fact, a hotel! 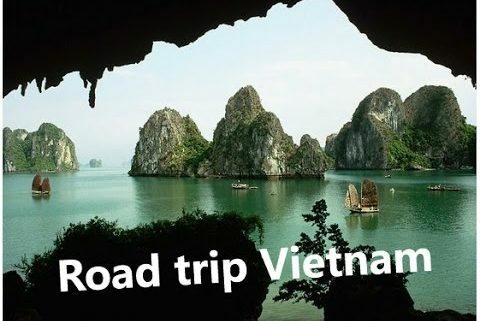 We had been hoping for a great experience like we had in Ho Chi Minh City but there was not much we could do about it as we had paid in advance for a week. We alerted Airbnb about the false advertising, hoping to prevent others from being disappointed. The hotel was well located and, after settling into our room (75 stairs and no elevator!) 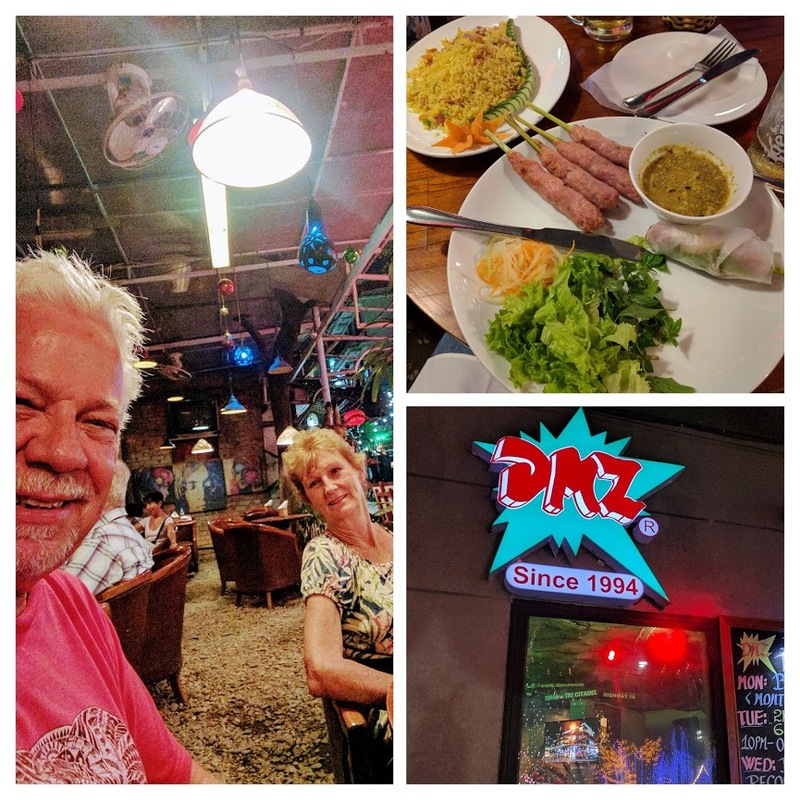 we headed for the DMZ, a nearby bar to relax and watch the world go by. We were excited about exploring this ancient city with the help of VM Travel.